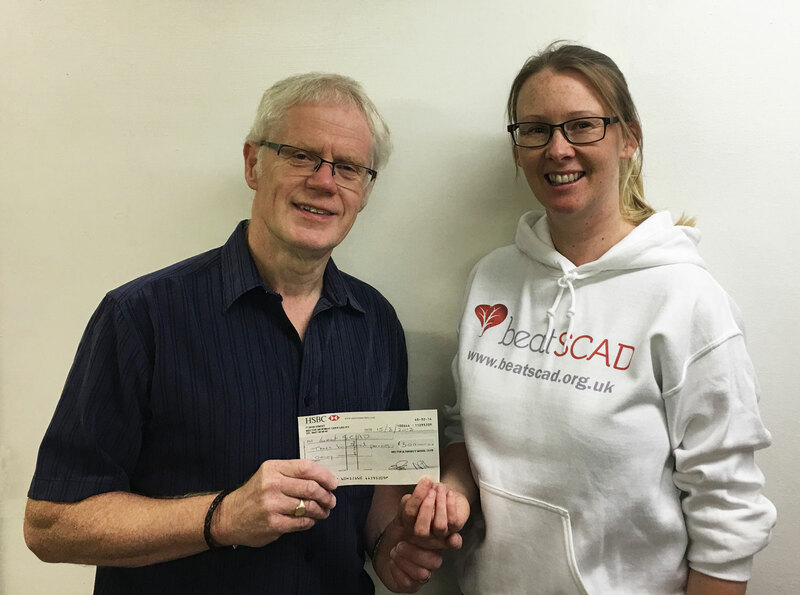 Beat SCAD Chair Rebecca Breslin has been presented with a cheque for £300 by Chris Savidge, Chairman of Melton and District Model Club (MDMC) following the MDMC Show that took place on 28-29th July at Asfordby Amateurs Football Club near Melton Mowbray, Leicestershire. This is the second time MDMC have supported Beat SCAD at their annual show – previously in September 2016. 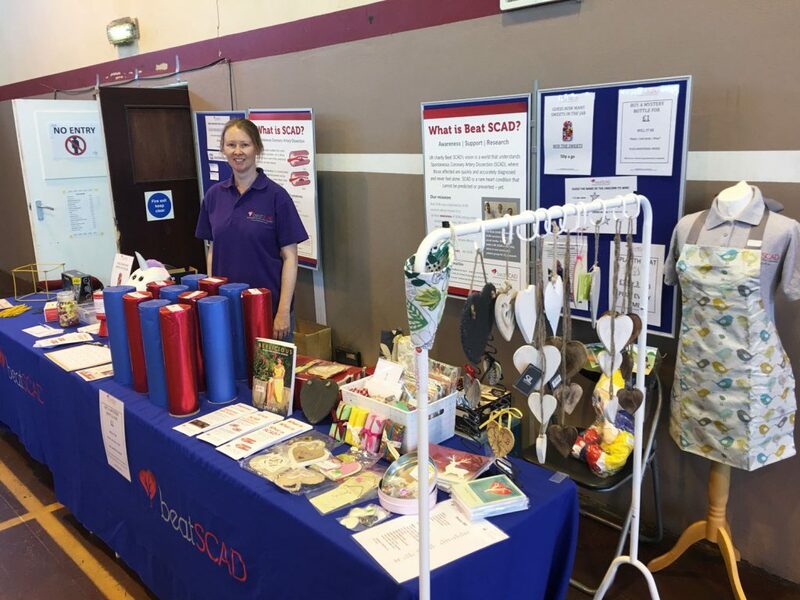 Rebecca attended the two-day event and was helped on the charity stand by her husband Liam and fellow SCAD survivors and Beat SCAD volunteers, Jacqui Hughes and Tracey Conlon. The Beat SCAD stand was busy with a variety of games including Splat the rat, Mystery bottle, Guess the sweets, Name the unicorn and Fastest cube. Congratulations to the winners and thanks to all who visited our stand. Just to prove that SCAD survivors can achieve amazing fitness levels, two SCAD patients and their family and friends embarked on some tough physical challenges over the summer, raising nearly £10,000 for Beat SCAD. Jennifer Heenan, who had her SCAD in 2013 at the age of 40, and her twin sister Karen, walked the 96-mile West Highland Way over a week at the start of July – a challenge at any time, but the warm weather made it even tougher. Jennifer and Karen raised a fantastic £1,695. 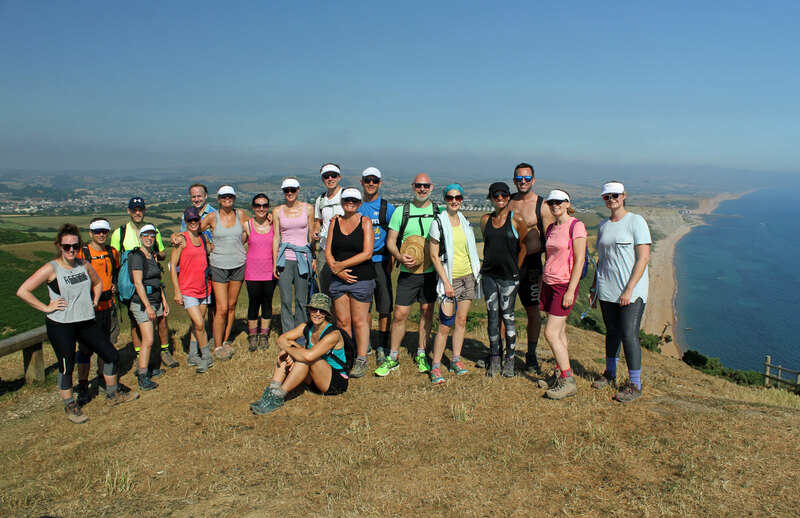 Also taking on a marathon challenge, Victoria Warnes Elgie, whose SCAD was in 2017, and 20 friends walked 26 miles along the Jurassic Coast in one day – see picture above. Victoria described the day: “26 miles along the Jurassic Coast in one day in record-breaking summer temperatures and the equivalent in altitude of climbing Mount Snowdon – WHAT ON EARTH WERE WE THINKING?!!! But what a glorious day it was and what a way to celebrate feeling fit and healthy exactly one year on from having had my heart op – I would never have dreamed of being able to complete this on that grisly day back in 2017. “The most wonderful group of friends and family, 21 of us (23 if you count the two babies in tums – honestly – HOW?! ), who worked tirelessly in getting sponsorship, (not to mention five-year-old Flora hosting a bake sale at school!). We had the most wonderful support vehicle in the form of Ian Poulter, who ensured we had icy drinks and plenty of energy bars along the way – an absolute essential on such a warm day and hugely appreciated. We lost a few walkers along the way – one in the loo (twice), after some time passed before we realised she was missing (so sorry Jam! ), whilst others gallantly retired to the support vehicle so as not to hold the rest of us up – EVERYONE WAS AMAZING. “We sang countless power ballads for the last few miles to get us through, and probably woke the whole of Lyme Regis up as we arrived back at the harbour front and jumped into the sea – such a welcome relief! Any plans for a few drinks that evening quickly disintegrated as showers and bed beckoned. The fundraising total included match funding from Salesforce, where Victoria’s husband works, and Gatwick Airport, where their Best Man, Tony Embling, works. Tony was instrumental in organising the training walks for the group in Box Hill, Surrey. Thanks to Jennifer, Karen, Victoria and everyone who took part in and supported these fundraising events. We rely on your generosity to enable us to continue donating to the research, as well as raise awareness and support those affected by SCAD.